The cardholder claims they were in possession of a valid card on the date of transaction or they did not authorize or participate in the transaction. For counterfeit transactions only, the liability will remain with the party that does not invest in chip technology, regardless of transaction amount. Respond with evidence showing that the liability shift does not apply by providing documentation displaying the card involved was not a hybrid card according to the service code (DE 35 or DE 45) in the authorization request (that is, the value of the first position was not a 2 or a 6), the transaction was completed with chip, or the chargeback was otherwise invalid (for example, the terminal was a hybrid). Use the Chargeback App to respond to MasterCard Chargeback Reason Code 4870. 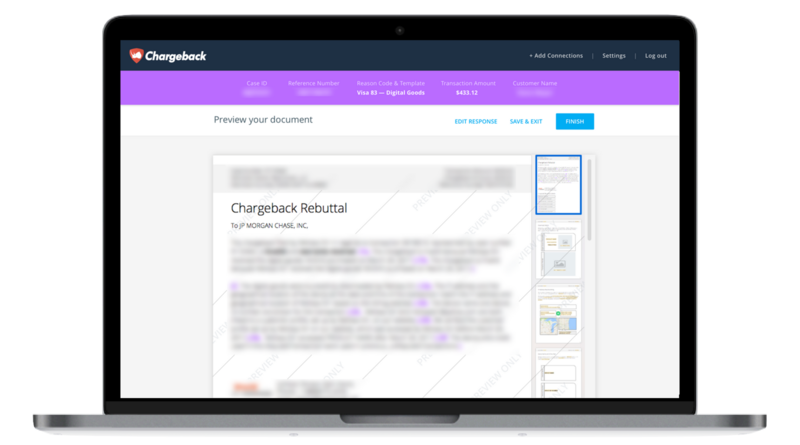 The Chargeback App determines acceptable evidence based on network rules and can automatically gather the evidence needed to win by integrating to your payment services and sales platform.